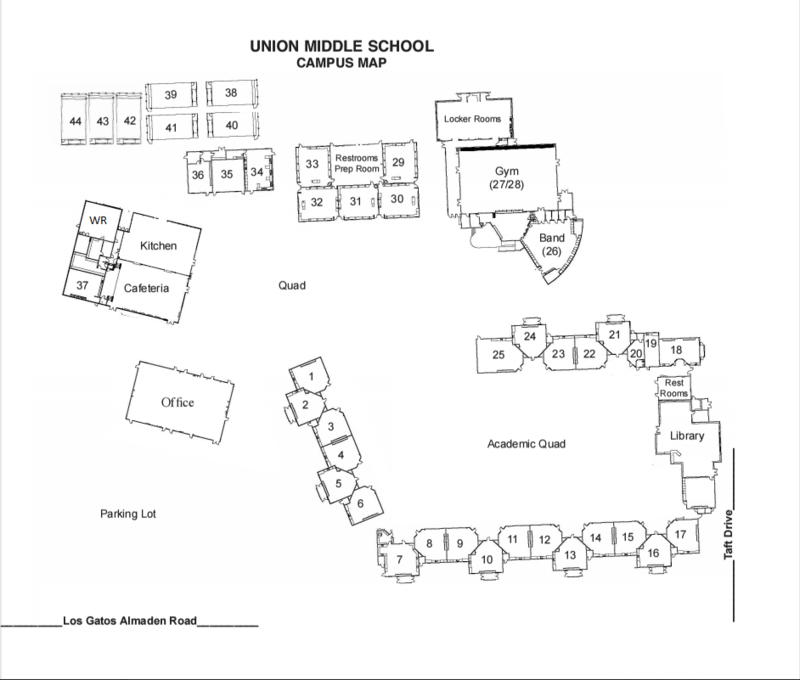 Union Middle School’s “Collaborative Approach to Service Provision” was designed tomeet the academic needs of all of our students, but particularly RSP, SDC, ELLand other students who were struggling to meet academic standards. OurCollaborative Approach involves all of our “reform efforts” into onestreamlined vision of diagnostics, instruction, and support; this includes, butis not limited to: full-inclusion of all students, Response to Intervention andInstruction (RtI2), Professional Learning Communities, and DataTeams. Previous to 2006, “special education” students were predominately excluded fromthe mainstream classes for ELA and mathematics. As a group, the percentage of specialeducation students achieving proficiency in ELA or Math consistently remainedunder 25%. With such results and the added AYP pressure, UMS staff committed torethinking how struggling students and students with disabilities should beserved. Following extensive professional development that included the support ofWestEd consultants Art Darin and Sylvia DeRuvo at the site level, our staffasked a fundamental question—What would it take for UMS to provide a trulycollaborative model of instruction that addressed student disabilities andchallenges while also giving access to the most highly-qualified teachersteaching the grade-level state standards using state adopted materials?This question continues to drive our efforts. Guaranteed Viable Curriculum: The first step of any successful collaboration between general and specialeducation is subject and grade level agreement on what will be taught and when.Using the California State Framework in each content area and working backward,UMS designed a “Scope and Sequence” for each subject in each grade level. Regular Collaboration: At UMS, teachers collaborate vertically andhorizontally. Vertically, our teachers collaborate by subject; sixth, seventhand eighth-grade subject specialists plan with one another during shared prepperiods. Horizontally, our teachers collaborate weekly during our Wednesdaylate-start collaboration time in their cross-curricular teams; teams includeone of each of the four core subject areas (ELA, Math, Science, and SocialStudies) who serve the same students. Diagnostic Assessment: Regardless of label, UMS students are placed in services, courses, andinterventions based on the results of common diagnostics that indicate when andwhere additional support is necessary. In math, UMS uses district benchmarks, adoption assessments, and theMathematics Diagnostic Testing Project (MDTP) assessments to determine theneeds of all students. In ELA, UMS beings with the Informal Reading Inventory(IRI) and quarterly district writing assessments to identify the need forfurther assessment. Common Benchmark and Analysis: In order to objectively measure to what degree studentsare retaining and able to use the information being taught, our teacherscollaboratively designed benchmarks that are given at regular intervals. Timeand attention are given for subject/grade level teams to act as “data teams”determining which standards were effectively presented, which might needadaptation, and which students necessitate re-teaching of fundamental conceptsthat are building blocks for future information. Collaborative Courses:“Collaborative Course” describes full-inclusion mainstream courses in the fourcore content areas—ELA, math, science, and social studies. At each grade level,special education and select 504 students who test at or near grade level inreading, writing, and math are fully mainstreamed. Collaborative coursesguarantee an RSP specialist or instructional aide to support the instruction ofcollaborative students. Intensive Block Courses: When our diagnostic assessments indicate that a student isreading, writing, or computing two or more grade-levels behind their currentgrade-level, he/she is placed into a two-hour intensive intervention coursededicated to the most efficient and effective direct instruction towardgrade-level proficiency. Our two-hour reading/writing intensive course utilizesthe state-adopted Read 180 and System 44 programs published byScholastic. Semester Social Studies-Science Courses: At times, ELL and Special Educationstudents are not scheduled into science or social studies because theirschedule includes extra math and ELA interventions. UMS met these challenges byoffering a unique standards-based semester-long course of each subject atseventh and eighth grades. This ensures that all UMS students have access tohands-on, active learning science and social studies instruction. THRIVE Elective: In addition to a myriad of other Asset Development programs, UMS offers aspecial elective to students for whom organization, healthy choices, andsocial-emotional well being have proven to be a challenge. Based on the SearchInstitute’s research around the “40 Developmental Assets” for teens, THRIVEstudents engage in success-building strategies. Participants regularly seedramatic increases in grade point average, homework completion, attendance, andpositive emotion while also experiencing a significant decrease in truancy,discipline referrals, student conflict, and family problems. The program offerstwo weekly tutorials, organizational binders, mentors, behavior intervention,guest speakers, and field trips. Flexible Master Schedule with Content Preps: The flexible master schedule that wecreated and annually improve serves as the backbone of UMS’s CollaborativeApproach. Within the master schedule, teacher’s prep periods occur during thesame period as their same subject peers to allow for vertical collaborationaround content; included in this prep-time are the RSP teachers with whom theyteach. Learning Center: UMS offers all special education and select 504 students access to acomprehensive pre-teaching and re-teaching course at each grade level. Staffed with one RSP Specialist and one Instructional Aide, the “Learning Center” (LC) provides students the appropriate foundational learning and practice necessaryfor success in mainstream ELA and Math. U-Turn Behavior Program: U-Turn is a strengths-based, positive behavioralintervention program serving UMS students whose academic performance andability to succeed in the mainstream academic environment are being compromisedby their choices and behavior. The program is designed to optimize staffsupport by customizing assistance for each individual student but within acommon program, language, and approach. The program consists of three “tiers”wherein students have the opportunity to earn more independence as theydemonstrate awareness and progress towards individual goals. Interventionon a Page (IoaP): Designed to provide all adults working with an individual student the necessary information in an easy-to-read, confidential manner, the IoaP includes thestrengths, needs, goals, accommodations, up-to-date testing information, andmore. Each teacher and instructional aide has their own IoaP binder that theykeep secure. Every time the IoaP is updated by our Intervention SpecialistAide, every adult is given a new copy of the IoaP within 48 hours of thechanges being made.